Electronic health records (EHR) systems have become almost as much of a medical necessity as hospitals themselves. But before implementing an EHR system, it’s in your best interest to perform an EHR readiness assessment. Indeed, an effective EHR readiness assessment is a better way to head into evaluation and implementation than making guesses based on assumptions. Whether your office is a part of a private practice or a collection of hospitals, skipping this vital step can easily end up wasting untold amounts of time and money. And on top of that, you can miss out on qualifying for EHR incentive programs if your practice doesn’t use it effectively. Many benefits can be derived from the implementation of such a system, but much of this hinges on doing things correctly. By understanding the basics of conducting an effective EHR readiness assessment, you can lay the groundwork for the long-term success of your practice. 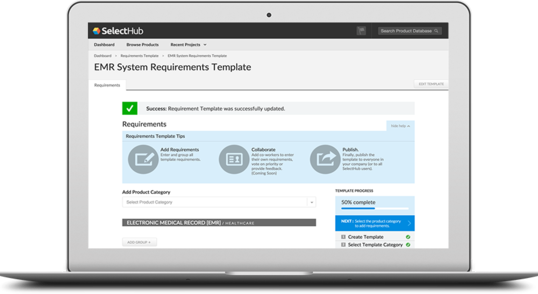 The readiness assessment phase of the EHR implementation process helps an organization determine whether it’s ready to make the switch from paper records to an electronic health records system. Therefore, it revolves around investigating and assessing various aspects of an organization to identify potential problems and to address them before implementation actually occurs. In this way, a practice can avoid having to make major changes or corrections soon after implementation. With a thorough assessment, a practice can expect to hit the ground running with their new system, with every member of the team on board. Financial and Business Issues – During the assessment phase, determine whether or not accommodations have been made for the new system in your organization’s current and future budget. Have any protocols been implemented to minimize the costs that are associated with making the switch? Has a cost-benefit analysis been performed? The organization should also retain an experienced healthcare attorney to assist with contract negotiations. Strategic Issues – Have you determined which employees will assume leadership roles during the implementation process? Has the organization examined which benefits it will enjoy by switching to an EHR system? Have patients been surveyed to determine how they will react when the new system is put into effect? The implementation of the new system will involve ongoing costs for the protection, enhancement and support of data that’s used by the practice. Has anyone determined what kinds of vendor relationships will need to be developed to make this happen? Finally, have any specific plans regarding the exchanging and sharing of health information been made? All of these details should be ironed out before implementation begins. Training Issues – How ready are the employees of the practice to learn how to use this new technology? Are the staff generally fairly tech-savvy, or will a fairly steep learning curve be involved? Are there specific individuals who could be put in charge of technical assistance for those still learning to use the new system? Do most employees routinely use computers at the practice? If so, how are their keyboard and mouse skills? Do any of the physicians or other staff members have unaddressed questions or concerns regarding EHR? Skills and Staffing Issues – Does your practice have access to professionals who possess impeccable IT skills? If you don’t already have someone on staff who is well-versed in this department, are you prepared to outsource the work in order to ensure a smooth implementation of the EHR system? Will coding, HIM and compliance professionals be available to assist during the process? Also, have employees’ skill gaps been identified, and if so, have you determined how they will be addressed? System Issues – Which of the practice’s existing computer systems will interface with the new EHR system? Is the process expected to be fairly straightforward, or are potential issues still left to be addressed? Has an inventory of your practice’s hardware been performed to ensure that you have everything that you need? As tempting as it might be to skip the readiness assessment phase, doing so is a surefire way to end up way over your head. Even if you think that you know some of the answers to the questions above, you should still go through and methodically address them during the assessment. All relevant team members should be included in the process as well because their insights may differ from yours and others’. It may take a little time and effort, but after successful implementation and qualifying for EHR incentive programs, you’ll be glad that you performed an EHR readiness assessment.